David Lindenmayer is Professor of Ecology at the Fenner School of Environment and Society at The Australian National University. He is widely regarded as one of the world's leading ecologists and conservation biologists, contributing significantly to the understanding of biodiversity both within Australia and around the world. He specializes in establishing large-scale, long-term research programs that are underpinned by rigorous experimental design, detailed sampling and innovative statistical analyses. Lindenmayer is author of Conserving Forest Biodiversity: A Comprehensive Multiscaled Approach, Habitat Fragmentation and Landscape Change: An Ecological and Conservation Synthesis, Salvage Logging and Its Ecological Consequences, and Towards Forest Sustainability. Jerry Franklin is Professor of Ecosystem Analysis, College of Forest Resources, University of Washington, Seattle, WA. 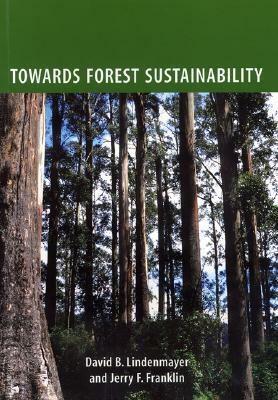 Franklin is co-author of Conserving Forest Biodiversity, Creating a Forestry for the 21st Century, Salvage Logging and Its Ecological Consequences, and Towards Forest Sustainability, all from Island Press.